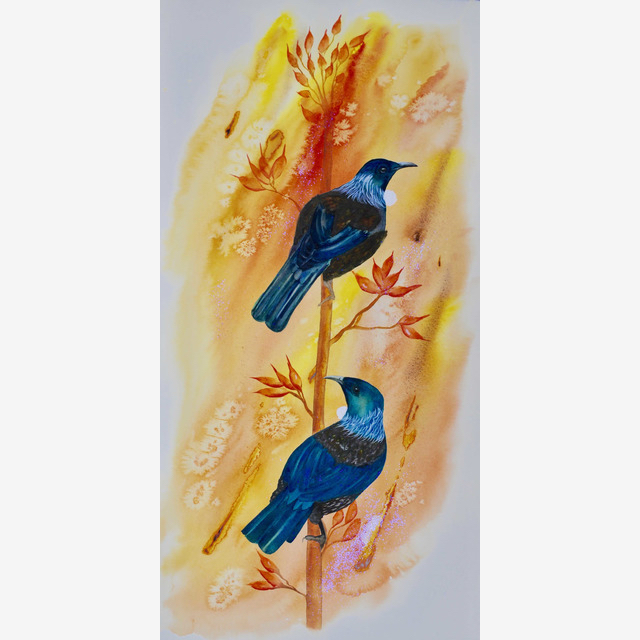 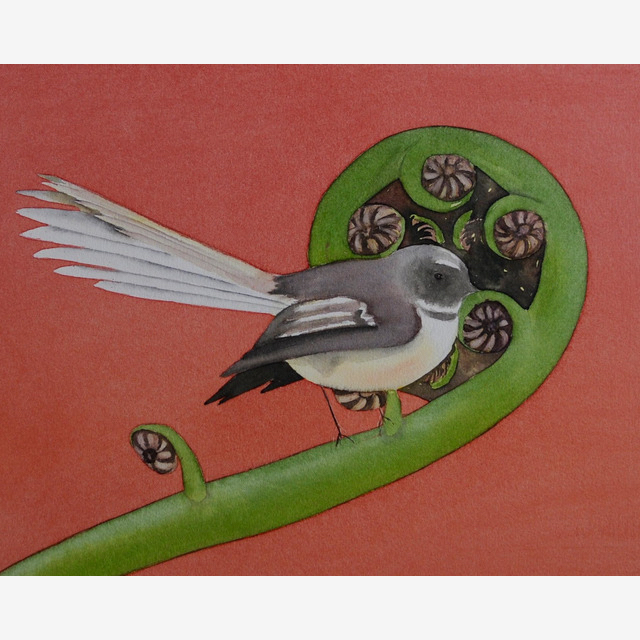 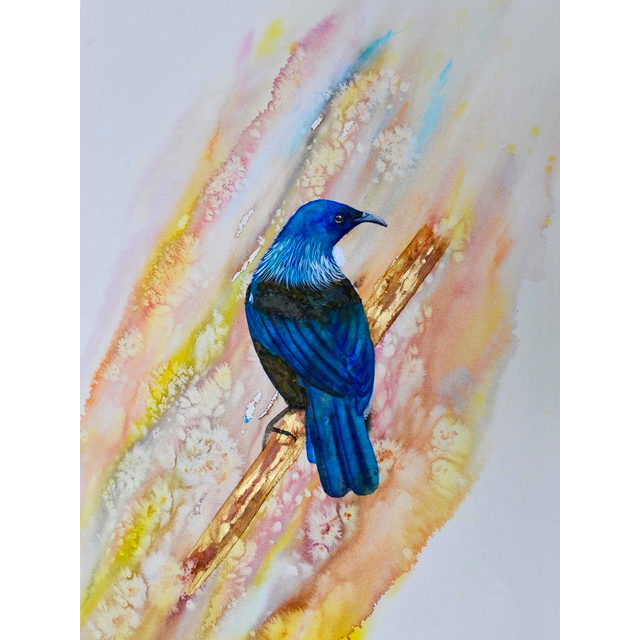 These beautiful Tui’s have been painted with a loose warm sunset background. 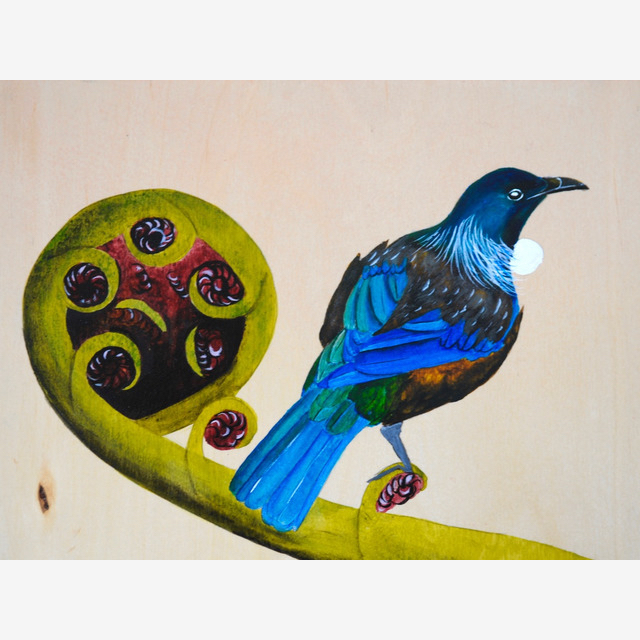 The Tui’s are sitting on a flax. 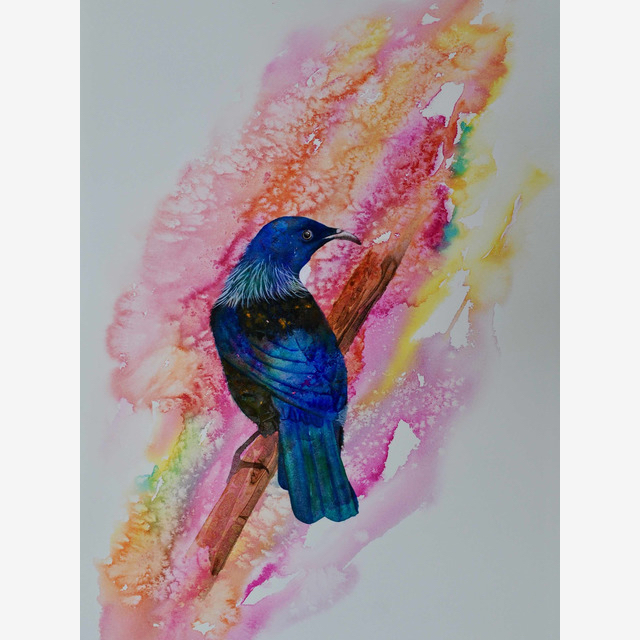 This painting is available only as a print.